Gilberto Rodrigo, MD, FACOG, works at Cary OB/GYN, with locations in Cary and Morrisville, North Carolina, as an obstetrician and gynecologist. A member of the American Society for Colposcopy and Cervical Pathology, he’s certified by the American Institute for Ultrasound in Medicine and, since 2011, the American Board of Obstetricians and Gynecologists. 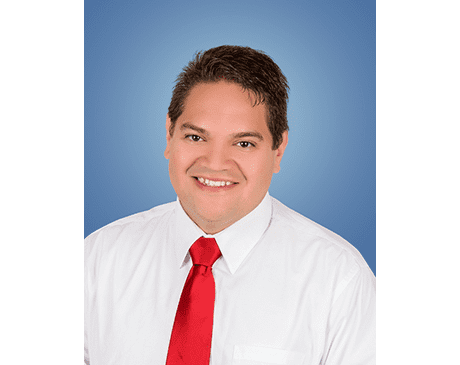 Dr. Rodrigo enjoys working in all areas of obstetrics and gynecology, and he’s especially skilled in treating patients with cervical dysplasia. His other special interests include robotic surgery, operative hysteroscopies, and managing menstrual bleeding irregularities. Dr. Rodrigo earned his medical degree from the University of Puerto Rico in San Juan. He completed his residency at the University of Connecticut, located in Storrs, Connecticut. Before coming to work at Cary OB/GYN, Dr. Rodrigo held a number of positions at the Southern Illinois School of Medicine in Springfield, Illinois, including physician, assistant professor, and clerkship director for medical students. When he’s not at work, Dr. Rodrigo enjoys spending time with his wife and fellow physician, Kristina, and their twin girls. They like getting outdoors for activities like snowboarding, biking, and scuba diving. Dr. Rodrigo also plays the ukulele.